When the semifinals line up has been decided, the top 4 players of the season were all there, but not all of them got there with ease. Serena Williams was surely the favourite, having she beated world number 1 Azarenka in the round robin and having never dropped a set. Despite the loss, the Belarussian qualified too, but she needed a terrific effort of nerves to win over Chinese Li Na and didn't look as in for as a few weeks ago. Maria Sharapova also came to the semifinal undefeated, but unlike Serena, she was on the edge of suffering a tough loss to Radwanska in the RR, even though she came up winning the match is a very long and great quality match. The Polish had qualified too, but after the incredible marathon match lost to Masha, she had another tiring match to win in order to advance past the round robin: she had indeed to face Italian Sara Errani in the last match of the group, in what will eventually be the longest match ever in the history of the WTA Championships and the longest of the year. In the first semifinal Serena Williams had a very easy job to win over a too tired Radwanska, who had only around 14 hours to rest, but the feeling one could get from this match was that, probably even a 100% ready Agnieska couldn't have done much more, as Serena looked extremly focused and determined, hitting the ball really well and missing barely nothing. 6-2 6-1 the final score. In the other semifinal world number 1 Azarenka was taking on world number 2 Sharapova, in what has been the nth chapter of this year's most famous rivalry. Like in the previous rounds Vika looked rather below her usual level, probably very tired from the long season and probably a little accomplished by the news that, no matter the outcome of the semifinal, she would have finished the year as world number 1. On the other hand Masha looked very determined to take revange from the US Open semifinal and gave everything in order to overcome the Belarussian, who gave up fighting after losing the first set: 6-4 6-2. 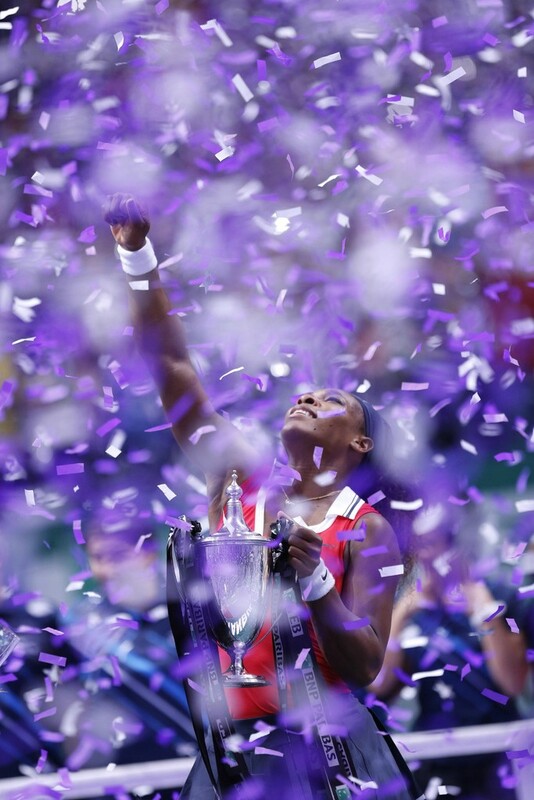 As for every match this week, the Istanbul's arena was fully packed by tennis fans and the atmosphere was the one we wanted to see at WTA final Champs for years. Moreover, the two facing each other are the worldwide most famous tennis players up to now and everyone was expecting a great final. And so it was. Maria started by hitting very hard and trying to move Serena as much as possible, trying to be very aggressive with the game-starters' shots - return of service and both 1st and 2nd service -. On the other side of the net the American looked as good as few times in the past years, very solid on every shot, moving really impressively on court, almost never out of place and always up for the right choices. The match seemed completely in Serena's hands, who broke early in the first set and had chances to get another, but first a silly error and then a great fighting from Sharapova prevented that from happening. But the Russian never looked like trubling Williams's serve and so the American could close the first set with that sole break 6-4. In the second Masha tried to bash the ball harder, in order to draw Williams further from the baseline, but Serena didn't step back at all and kept hitting clean and moving Sharapova everytime she had the chance and the few times she might have had some sort of trouble on her serve, she had an ace ready for that. Credits to Maria for hanging on there, but it was matter of time before Serena would rise the trophy and fast she did it, by closing the match on 6-4 6-3 on her side, with the terrific sum of 44 winners, ending probably the most amazing year of her carreer with Wimbledon, USO and YEC titles and 2 golden Medals at the Olympics, even if that didn't mean being the world number 1.